The years when Alois Springer did not only see the art in music, but also had to make a living from it have passed. Yet the intensity of his love to music remains unchanged. With restless activity Alois Springer still follows his sound. And directly – or via his agent – many an approach, to employ his abilities in various ways, reaches him. 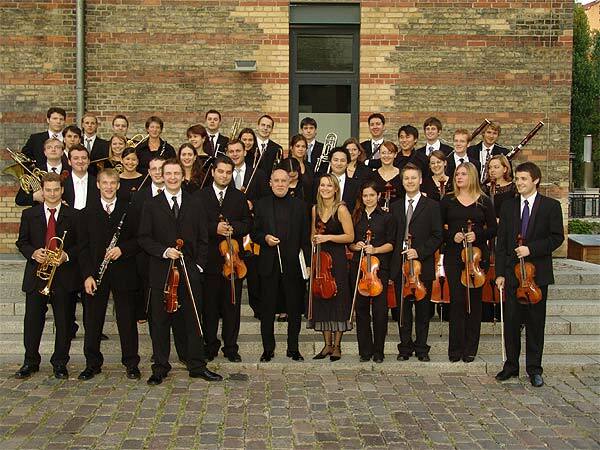 PRIMARTE – Orchestra of the Award-Winners with Alois Springer and the Violin-Soloist Florian Meierott at the first Concert in Krongut Bornstedt /Potsdam on May 30th, 2004. 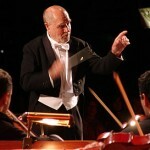 So he is much sought after as a guest conductor, in Germany as well as in eastern countries. 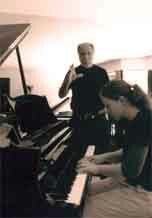 He teaches a select number of music students in his present hometown, Frankfurt/Main. And if a call to be a jury member in an international contest for composers reaches him, his love to music surpasses his need for a peaceful private life. In all these tasks Alois Springer remains faithful to the microcosm of chamber music. Thus, he makes music with his own string quartet, performing the great masterpieces of quartet literature up to Claude Debussy. He plays György Ligeti with his compositions of sound surfaces and contemporary music, gives master lessons for piano and violin, plays violin-piano-duets by Mozart up to Caesar Franck and Maurice Ravel, offers great concerts with his small chamber music orchestra. 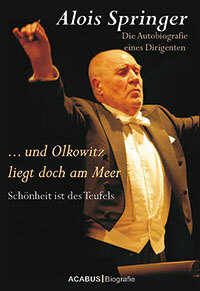 Moreover, Alois Springer ventures on new, unusual paths, never before attempted: For instance, he performed texts taken from Friedrich Nietzsche’s “Also sprach Zarathustra” in a symbiosis of words and music with the sixth symphony by Tschaikowsky, in the Sofia Philharmonic. 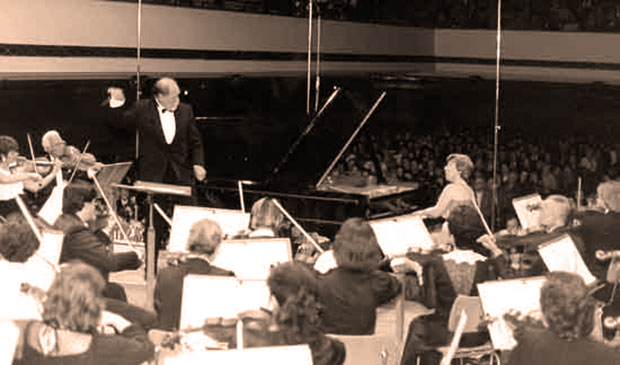 In his workshops for managers from business and industry he closely and immediately shows to the participants of the seminar, sitting in the middle of the orchestra, the combination and creation of a “co-operative mosaic”, exemplified by one of Brahms’ symphonies. Furthermore, Alois Springer works on the fulfillment of a dream. His most recent favorite project is the building-up of his own orchestra consisting of enthusiastic talents, according to his ideas of sound, mentality and philosophy. He names it PrimArte, “Orchestra of the Award-Winners”. 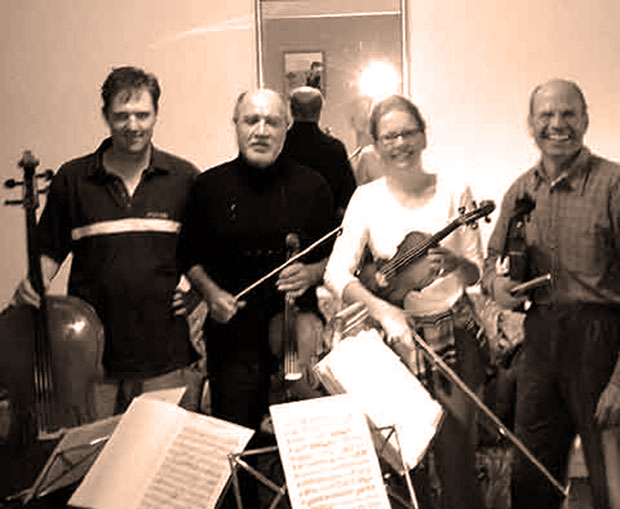 This project which Alois Springer brought into being, together with Nicole Stephan and her concert agency bearing the same name, aims to encourage young talents to find their way, oblivious of the loud happenings surrounding them- it shall internalize “the going” in creating music, evoking irresistible hope, joy and radiance. 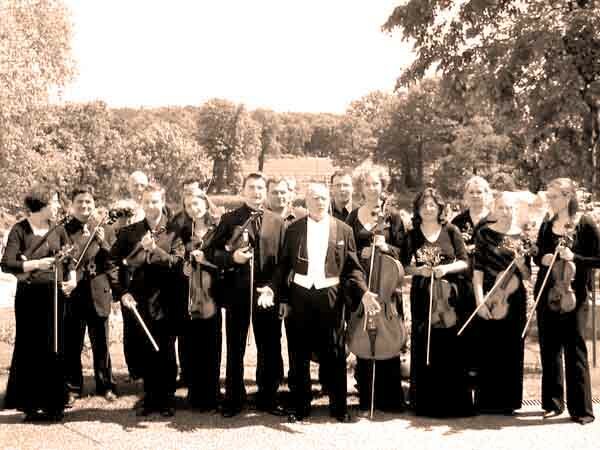 First concerts of this young orchestra have already taken place, before highly appreciative audiences. Alois Springer is outgoing and embraces all talents of good will. His autobiography, in which all that was said here and all that was left unsaid can be read in detail, was published in 2005.